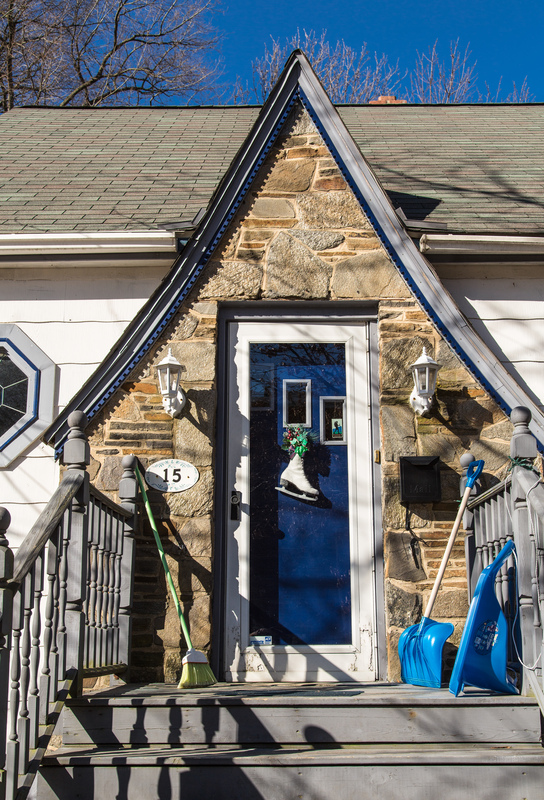 Snow shovels and ice skates, the accoutrements of winter will soon melt away like the cold snows of winter. Unaccustomed as we have become to snow and cold, a deep weariness has settled in this winter season. The past few years have been mild. In Philadelphia now, it’s the third snowiest winter in recorded history. So many nights of single-digit temperatures have given birth to an unimagined new weather term – the “polar vortex.” Snow, slush, black ice, muffler-ripping winds, school closures, rock salt shortages, potholes — most folks seem weary of it all. Spring never looked so good; I went looking for it yesterday when our dungeon-master, Winter, took a rare day off. Afternoon temperatures neared 60, there was warm sunshine and even the southwest breeze had no chill. It was a fine day for a Thoreauvian walk about the neighborhood. 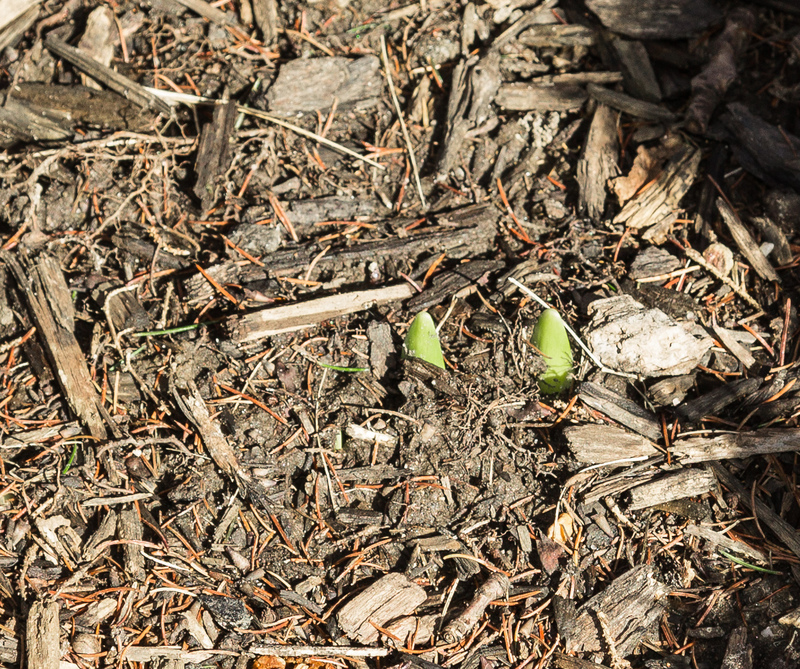 Daffodils peek out, showing the door to a worn out old man Winter. Spring is all around us now. You can see it if you know what to look for. I saw enough Robins yesterday to set a bird watcher aflutter. Asphalt and earth are now appearing where there have been only snowbanks for weeks. 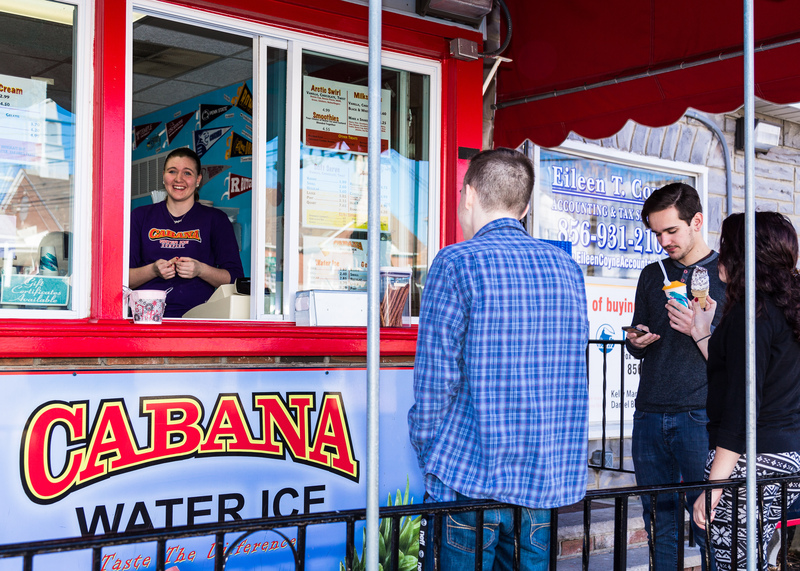 Around the corner, Cabana Water Ice is open for business. Newspapers are full of baseball spring training reports – full of the confidence and hope only a fresh season can bring. The Phillies play their first televised game next Wednesday, February 26. A few days later opens the Philadelphia Flower Show, although given their ticket prices they obviously don’t want any poor water ice eaters in the building – I’ll wait for the free daffodils to bloom down the street. We’re already a third of the way to the Summer Solstice (June 21 this year), the year’s longest day. At 5:30 this afternoon we still have light – two months ago it had already been dark for an hour at this point. And two weeks from today we begin our so-called “Daylight Savings Time,” and it will be light until 7 PM. Cabana Water Ice is open — Spring is here and the refreshments of a warm Summer eve are with us again. Weather forecasters predict this winter will hang through at least next week – nighttime temperatures in the teens for midweek. I say that’s just our dungeon master, old man Winter, shaking the snow from his boots as he skulks out the back door. He’s not welcome anymore, and we’ve issued a warm invitation to Spring.